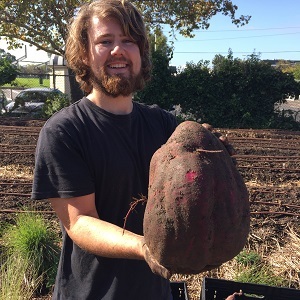 The first harvest of Melbourne’s largest planting of sweet potato commenced today at our Abbotsford kitchen garden. 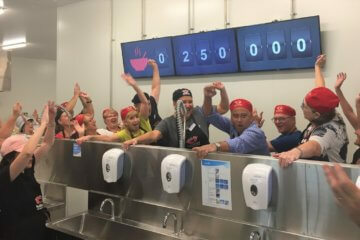 The cultivation of a global staple, rarely seen in Melbourne gardens, is part of an innovative partnership between FareShare and the Burnley Campus of the University of Melbourne. The bulk of the sweet potatoes have been planted on the Baguley family farm in Clayton South where Les Baguley has generously provided a substantial area for FareShare to grow veggies. Dr Chris Williams’ Novel Crops Project, based at the Burnley Campus, is investigating around 30 new food plants and varieties for Melbourne. Its aim is to broaden crop choice for home and community gardeners, local councils and nurseries with plants such as sweet potato, taro and ginger. The Novel Crops Project promotes the concept of “edible landscapes” – attractive gardens that also provide food. 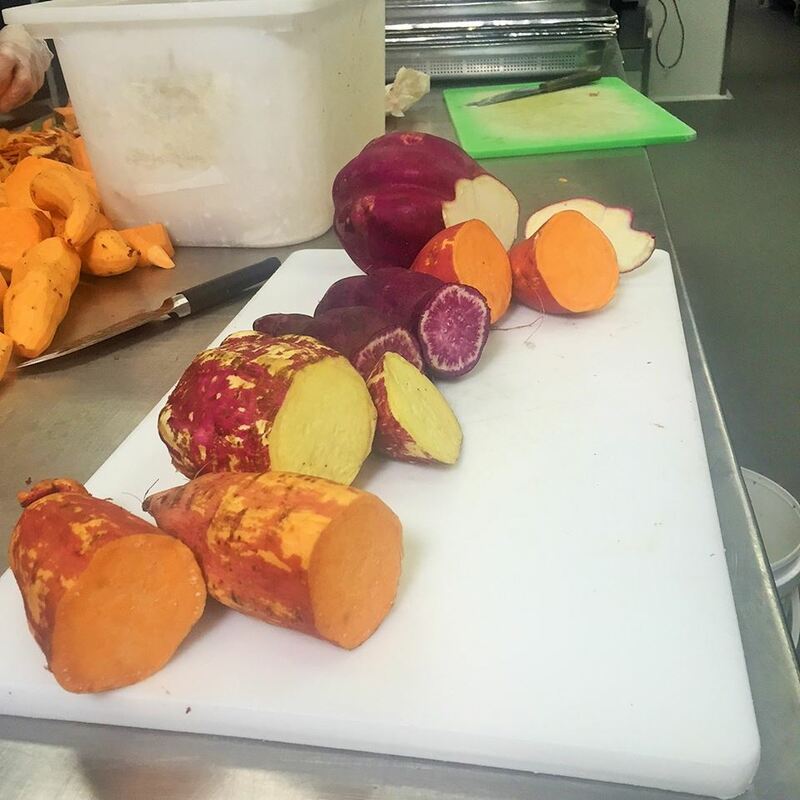 The sweet potato plants were propagated by urban horticulture students from Burnley and by refugees and migrants doing English language courses at the Carlton Neighbourhood Learning Centre (CNLC). The CNLC students also received basic horticultural training at Burnley focused on food plants. As a result, 1000 tubes of five different sweet potato varieties were given to FareShare last December. 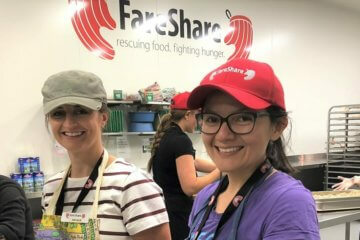 Sweet potato now carpets beds at FareShare’s kitchen gardens at Abbotsford, Moorabbin Airport and Clayton South. The results of the first harvest will help determine which varieties grow best in Melbourne’s climate and could spark renewed interest in a popular food crop. Early results are promising with the sweet potatoes growing well on all three sites. 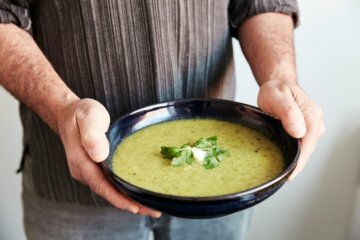 FareShare now grows more than one third of the vegetables we need at our three kitchen gardens in Melbourne. These are tended by volunteers under the direction of garden manager, Susie Scott, a Burnley graduate.